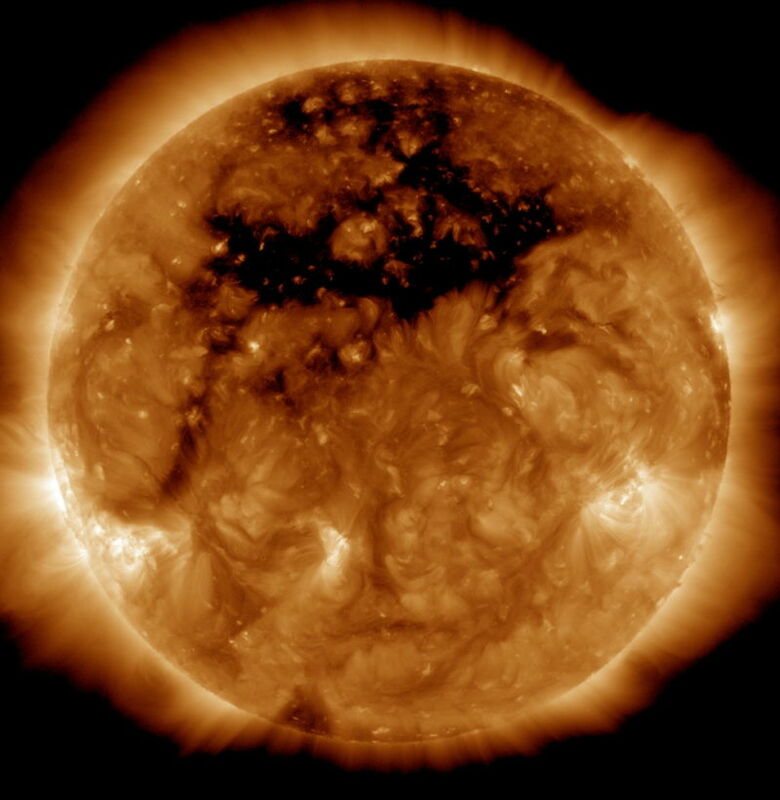 A pretty massive coronal hole was recently detected on the Sun by NASA’s Solar Dynamics Observatory. The area—nearly the size of 50 Earths—is discharging material into space at remarkable speeds. It may look frightening, but astronomers say it’s nothing actually to worry about. According to NASA these holes are magnetically exposed regions that produce high-speed solar winds. These dark, low density areas of the corona—the sun’s outmost atmosphere—comprise little solar material, have lower temperatures, and therefore seem much darker than their surroundings. Coronal holes are usual, appearing at different places and with more frequency at different times throughout the Sun’s activity cycle. In light of the occurrence, the NOAA Space Weather Prediction Center predicted a G1-Minor storm from the 14th to 16th of October. This space storm is fairly harmless, however it could interrupt satellites communications and high-altitude radio broadcasts. The coronal hole formed a geomagnetic storm near Earth that caused in numerous nights of aurora. Geomagnetic storms and auroras can also be produced by other sun phenomena, for example solar flares and coronal mass discharges, which both flash the corona's material outward because of amplified magnetic activity.